In a lot of homes, the master bedrooms are the last spaces to receive any design attention. But in our eyes, they deserve so much more. When it comes to creating the perfect suite, we think the details matter so much. From the closet to the bed, we design retreats to support the homeowners’ love for each other. We think a beautiful dressing area is the perfect place to get ready for a romantic date. 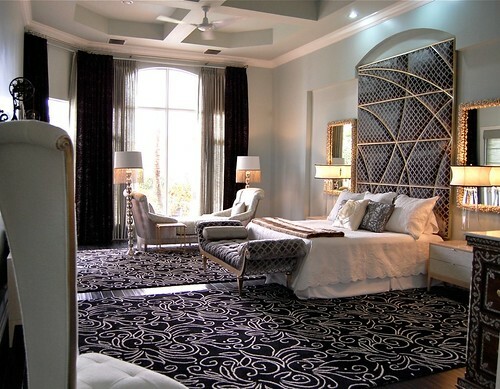 This bedroom is an excellent example of how even the closet can add to the glamour of a great master suite. If you’ve never thought a closet could be beautiful, you have to see this.